mOculus.io plugin for Maya will allow you to live edit your Maya scenes while you are wearing the Oculus Rift. 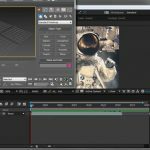 This means that you can not only explore your scene in real 3D or VR, but you can also use it for modeling, texturing, lighting and shading or even your own animation workflows in Maya. The mOculus plugin will map the gyroscopic sensors from the Rift to a custom input device node. 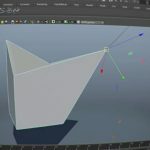 This is connected to a stereoCamera in Maya. The plugin also bridges Maya viewport 2.0 (with both Direct X 11 and OpenGL) with an improved display for the Oculus Rift device. The “stereoCamera” settings are used to control the viewport of each side seen by the Oculus Rift. The lens distortion is then corrected by the mOculus.io plugin viewport. This includes chromatic aberration. You can do camera work and record your head movement on the fly with our professional version’s record tool. The intuitive way of working directly in VR improves your modeling, texturing, lighting, shading and animation speed and quality. It gives you new insights just by watching your scene in real 3D. No use of your hand for navigation anymore. Benefit from 1:1 conversion to your final product. This for example could be a game engine like Unity3D or Unreal Engine. The Plugin can do an “Inception-Mode” where you can work with your floating Maya Desktop directly within the Maya scene wearing the Oculus Rift. The plugin is offered as a free version, a personal version (for non-commercial use), and a professional version. Visit mOculus.io to learn more about the mOculus plugin for Autodesk Maya.